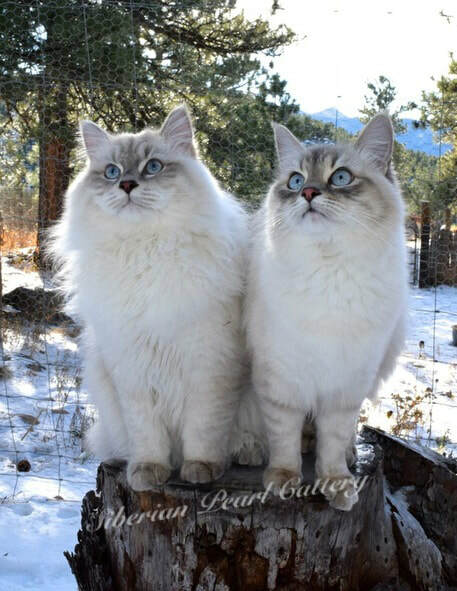 From the moment we met Vera and Timothy it was apparent that they are more than just Siberian cat breeders. They love and cherish their cats and kittens as true members of their family and it shows!! We spent a VERY long time researching breeders and once we met Vera and Timothy we just knew our kitten would come from their cattery. From start to finish, the process was smooth and enjoyable. We were able to come and visit with the kittens a few times to see which kitten chose us as their new family. Vera was so patient with this process! Our sweet Yeti is affectionate, very smart and big! Yeti is more of a dog than a cat really. He is very quick to learn tricks such as: sit, fetch and up. He has the BEST personality and temperament of any cat we have owned (and we have had several). We will only purchase our Siberian’s from Vera and Timothy. The quality of these cats is remarkable…From their temperament to looks, there is no comparison!